Two volumes (32 cm), I: xi (3), 216 pp., illustrations. II: xi (1), 129 (1),  leaves of plates (many in colour). Publisher’s cloth, colour illustrations tipped to upper covers, publisher’s cloth slipcase. 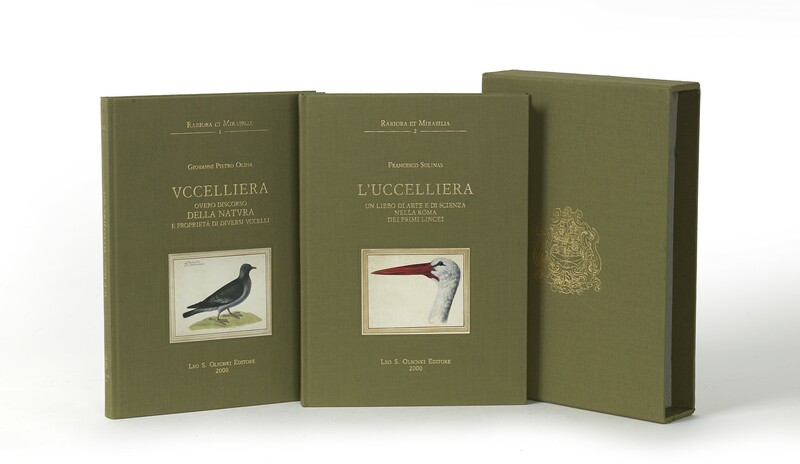 - The first volume is a facsimile reprint of Giovanni Pietro Olina, Uccelliera ovvero discorso della natura e proprietà di diversi uccelli (Rome 1622). 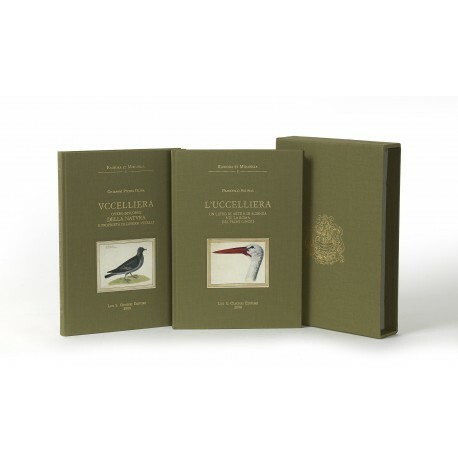 The book contains engravings of birds after drawings made for Cassiano dal Pozzo and is dedicated to him. Publisher's retail price €87 (www.olschki.it; link)¶ As new.